Gwynne calls for action to tackle tax dodgers – tough on tax dodgers, tough on the havens of tax dodgers! Denton and Reddish MP, Andrew Gwynne, has today backed Labour’s Tax Transparency and Enforcement Programme which will root out tax evasion and clamp down on tax havens. After years of Tory inaction and failure to tackle tax avoidance and evasion, Government proposals purporting to close tax loopholes in the upcoming Finance Bill do not go far enough – having gaping omissions and even creating further loopholes for some individuals and corporations to exploit. Despite Tory rhetoric about proposals to address so-called non doms; as it stands the Government have actually gone out of their way to preserve the status of non-dom, as well as their off-shore trusts and increased tax give-aways. Meanwhile, HMRC lacks the necessary resources and capacity to investigate potential tax evasion, with potentially even more cuts on the horizon their task will be made even greater. 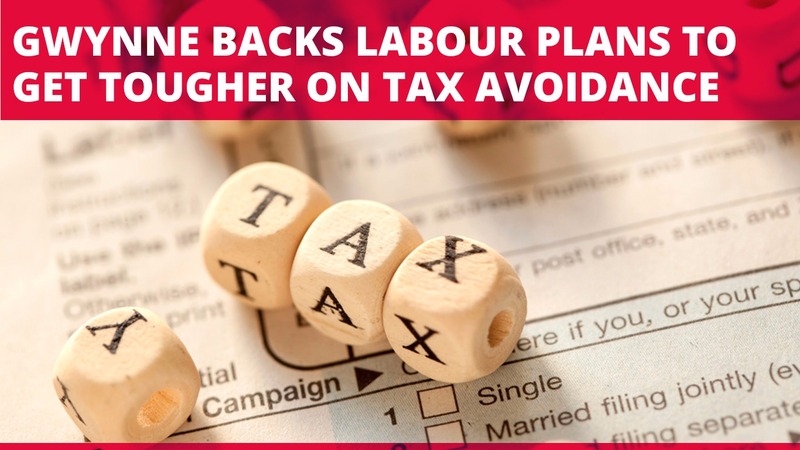 Labour is proposing a Tax Transparency and Enforcement Programme to root out tax evasion and clamp down on tax havens. We will end the era of government turning a blind eye to the scandal of tax avoidance and work in partnership with leading tax experts to root it out. Furthermore, as the Panama Papers, HSBC leaks and other episodes have shown, much more needs to be done to address the role of accountants, lawyers and other enablers in facilitating tax evasion and money laundering. Labour has been long calling for measures to tackle not only tax avoidance itself but also the enablers of tax avoidance. Therefore, Labour is disappointed that the long-awaited introduction of a penalty for enablers of tax avoidance (as promised by the upcoming Finance Bill) lacks the necessary teeth. Labour feel that it would be fairer on taxpayers if the penalty imposed on the enablers by HMRC recovered the full cost of the HMRC’s actions. “Tax avoidance costs us all. By allowing the super-wealthy tax dodgers to operate, the Tories ensure that billions of pounds, dollars and euros are lost to the public finances. “That means fewer hospitals, schools and new council homes for families being built across our community. “The people of Denton and Reddish need a real commitment from Government to an overarching strategy that provides genuine legal teeth to tackle the millionaire tax dodgers and the advisers surrounding them.